As a Nutritional Therapist, I’ve been told more than once that I have a gentle way of working with clients. I don’t force diets and supplements down people’s throats. I know we’re all at where we’re at health-wise for a variety of reasons that go well beyond just food itself and it can take time for changes to be instituted. I understand people use food for mental, emotional reasons and that taking a specific food away can be akin to a huge psychological shock. On my intake forms one of the questions is, “Is there a food you are absolutely not willing to give up?” This gives me an idea of how fast or slow we need to go when making dietary changes. Chocolate, sweets and alcohol are just some of the obvious ones. But by far the most frequent item is…yeah, you guessed it…coffee. I always encourage my clients to minimize too much coffee in their diet. It can stress the adrenal glands, liver, kidneys and stomach and can cause the excretion of vital vitamins and minerals as the body tries to rid itself of the caffeine. 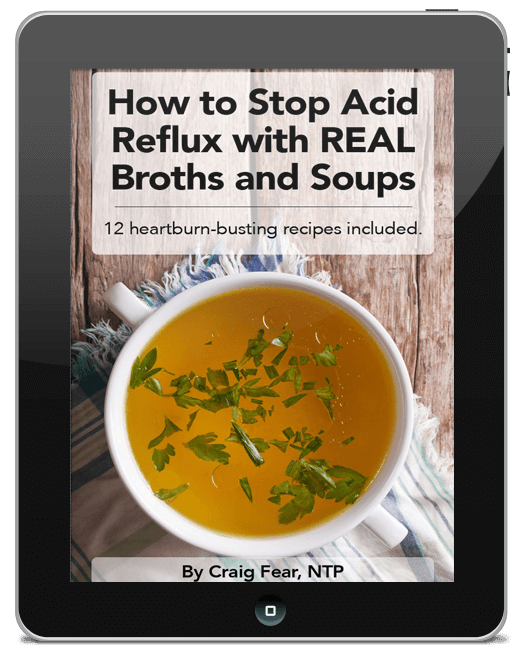 It can contribute to blood sugar irregularities (see #5 below) as well. I could go on and on about its negative health effects. But I’ll never tell anyone they have to give up coffee. If I did, the majority of the people I see would never come back! Drinking coffee every day is a habit that started long before I changed my own diet, one that goes well back to those all-night study sessions in college. It’s also a habit that’s reinforced by my love of coffeehouses. I like hanging out with friends there, I like to do work there, I like to listen to music there, and now, I guess I like to blog there as well. And I know a lot of people who feel the same way. So I have funny feeling a lot of people will identify with this blog because I know more people are NOT going to give up coffee than those that are. So this blog is for you, my fellow coffee drinkers out there that scoff, smirk, sneer and roll your eyes at the seemingly endless barrage of how- to- quit -coffee articles out there and think, ”Yeah right”. Because I’m right there with ya. And God knows I’ve tried to give up coffee. I’ve tried switching to tea and I’ve tried the coffee substitutes. None of it has worked. I even gave it up for 30 days once. It made no difference. Zippo. I craved it as much on day 1 as I did on day 30. I’ll never forget that first sip of coffee on the morning of day 31. Of course, there’s a big difference between drinking a cup of coffee a day to say drinking 3 pots. I know some of my Nutritional Therapist friends disagree with me on this but so be it. Of all the toxic things we can put in our body, I don’t think a cup of coffee a day is anywhere near the top of that list. I’m much more concerned with people getting sugar, chemicals and all manner of processed foods out of their diet. These are the true culprits in our national health epidemics. So if you’re eating mostly locally grown, nutrient-dense sources of foods– including plenty of good healthy fats from grass fed, pastured animals– and if drinking a cup of coffee per day is your only nutritional vice, trust me, you’re way ahead of the game. And finally, stay away from the flavored coffees (yeah, I know they’re yummy) which are usually full of artificial flavorings. Healthier Coffee Drinking Tip #2: Get the Sugar Out! This is probably the most important tip for healthier coffee drinking. I realize this is a tough one for a lot of people. It was for me. Until I did this I never realized that what I was really craving in my coffee was the sugar more than the caffeine. But once I ditched the sugar, my palette became more attuned to the various types of roasts and regional variations. I actually started enjoying the taste of coffee instead of the taste of sugar. Try adding just cream (preferably raw if you can get it) in place of sugar. That helped me get the sugar out once and for all. The fat in cream will cut the bitterness of coffee. Cream also has a natural sweetness that can help you wean off the refined white stuff. Lastly, please do NOT use those flavored cream/creamer concoctions! They’re made with hydrogenated vegetable oils, corn syrup and a whole host of other chemicals. Now some of you might be saying, “Cream?! What about low fat milk? Isn’t that healthier?” No. A famous comedian once said, “Show me the cow who makes skim milk and then I’ll drink it”. Low fat milk and all manner of low fat products are not health foods. But that’s another blog topic for another blog day. Coffee beans, like anything, will begin to breakdown and become rancid once the inner contents are exposed to oxygen and moisture. To see this process with the naked eye cut open an apple and see what happens. The white flesh starts turning brown pretty fast. This is due to its exposure to oxygen and moisture, the enemies of freshness. They’re also the enemies of anti-oxidants, those things you hear about that create stability and health in living systems and ward off disease. 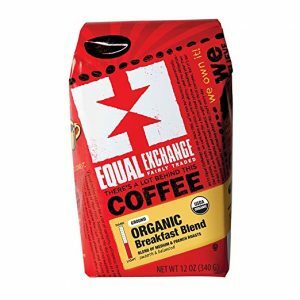 I’m skeptical about the anti-oxidant health benefits you hear about in coffee. But if it’s true, those anti-oxidants will start to oxidize immediately after grinding, which is OK if you drink the coffee soon after. After a few days however freshly ground coffee doesn’t taste so fresh anymore. And if you get the sugar out, you can start to taste this pretty easily (which is not good for healthier coffee drinking). 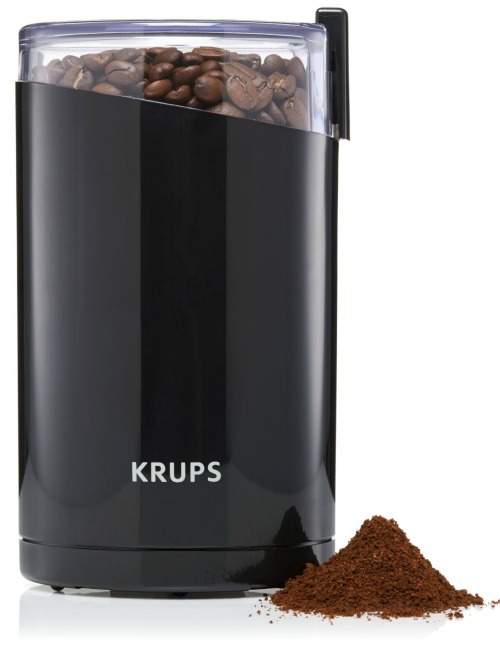 I use a simple Krup’s coffee grinder to grind my beans at home. It’s probably the most used appliance in my kitchen. 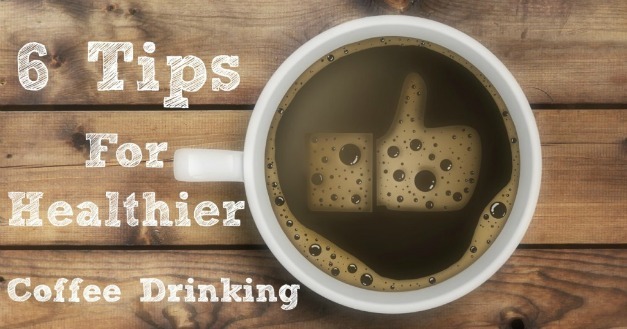 Healthier Coffee Drinking Tip #4: Keep it to ONE Cup Per Day. For starters, one cup is not a Starbucks twenty plus ounce mega-grande french vanilla frappuccino with whip cream and chocolate syrup. Nor does it resemble a giant caramel coffee coolatta from Dunkin Donuts. It’s eight ounces. Your liver can handle that. I know more than a few people who drink coffee all day long – five, ten, fifteen cups. If you’re one of those, don’t even think about cutting down to one cup right away. Reduce it slowly. If you’re drinking ten cups, get it down to eight in a week. Then get it down to five, and so on and so forth. 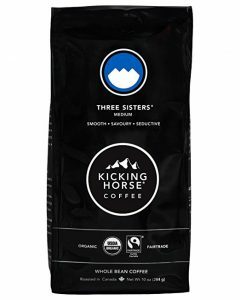 Other strategies for reducing the caffeine content include a second brewing from the same beans and including half decaf (Swiss mater method only) in each cup. Healthier Coffee Drinking Tip #5: Drink Coffee After a Meal. For most people that would be breakfast, and it’s definitely better to wait until you have some food in your system before downing that cup of coffee. Caffeine causes your body to release sugar into your bloodstream which in turn causes the pancreas to release insulin (another good reason to get sugar out!). On an empty stomach this can cause a sharp drop in blood sugar which can then set up more sugar cravings. Guess what will help spike that sugar besides sugar? Caffeine. Furthermore, the caffeine in coffee can suppress your appetite causing you to go longer without feeling hungry. This sets up further episodes of low blood sugar and further coffee and sugar cravings. Having food in your stomach will help modulate this blood sugar response and keep those cravings at bay. Healthier Coffee Drinking Tip #6: Enjoy the Heck Out Of It! Yeah, that’s right. We live in a world where we’re made to feel guilty about food: don’t eat this, don’t eat that, this food will kill you, that food will kill you. Of course, a lot of that is true, but you can take any food, create negative thoughts around it and actually make it unhealthier to consume with those stressful thoughts. After all, stress depletes nutrients from the body, too. So don’t feel guilty about your one-cup-per-day of organic, ground-at-home-with-cream coffee. Enjoy it! I do every day. 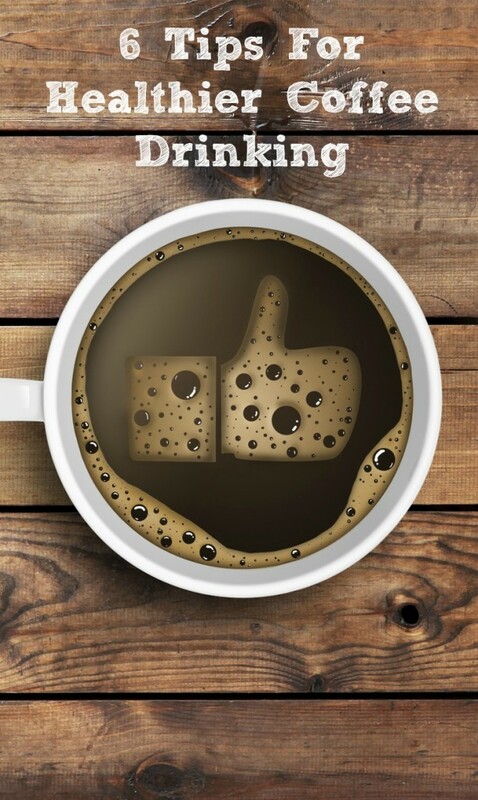 Finally, if you’re into home brewing and want to learn how to make the perfect cup of coffee as well as a variety of different coffee drinks, this book will make you enjoy your coffee even more. It also make a great gift for you coffee-obsesses friends and relatives. 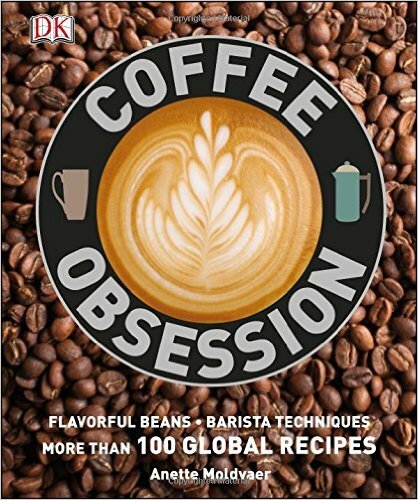 Click here to see Coffee Obessions on Amazon.